It takes care and planning to create and nurture successful students who are emotionally and intellectually prepared for the challenges of high learning. Our goal is to make sure that teachers, parents and students work as a team to ensure a quality Catholic education. It is the mission of Nazareth School to teach and guide students from various backgrounds in their spiritual, academic, physical, and social development. 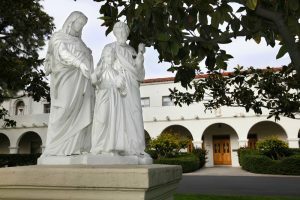 As a Catholic institution, Nazareth School community members integrate the charism and core values of the Sisters of Nazareth into the educational experience. It is the school’s aim to nurture mind, body and spirit in an atmosphere of mutual respect and trust in God and to contribute to the larger community through service, worship and spreading the Gospel message.